Tritomite-(Y): Mineral information, data and localities. For its-relation to tritomite-(Ce) and yttrium in the composition. The name tritomite is derived from the Greek τρί (tri), threefold and τομος (tomos), a cut, in allusion to the triangular and pseudo-tetrahedral crystal outline. The mineral was described as a new species by Frondel (1961) and named spencite after Hugh S. Spence, a Canadian mineralogist who first found the mineral in 1934. The name was changed to tritomite-(Y) and spencite became a synonym, owing to the implementation of the new nomenclature for rare-earth minerals (Levinson 1966, Nickel & Mandarino 1987). Spencite was the Y-analogue of the tritomite-(Ce), and the tritomite name had priority (Horváth 2003). 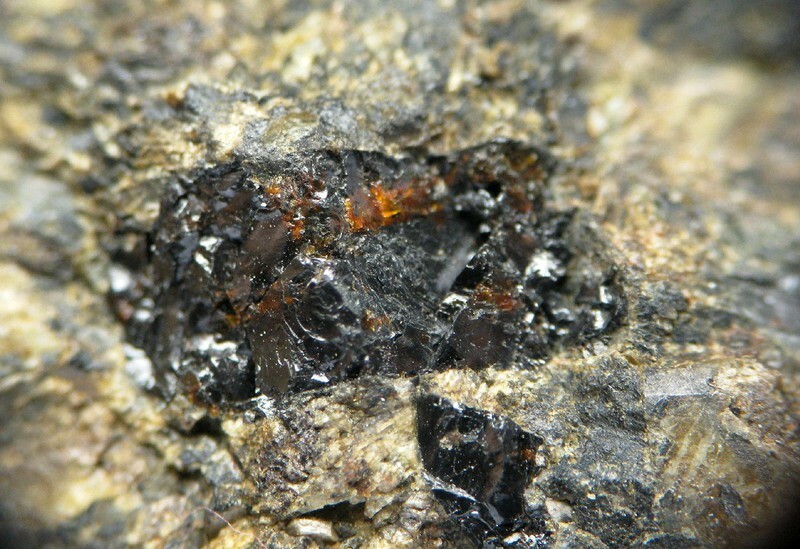 A mineral in the Britholite Group of the Apatite Supergroup (Pasero et al. 2010). A borosilicate whith REEs strongly prevalent over Ca in the M sites for stoichometric reason (Pasero et al. 2010). The Y-analogue of tritomite-(Ce). Zircon 3 photos of Tritomite-(Y) associated with Zircon on mindat.org. Allanite 2 photos of Tritomite-(Y) associated with Allanite on mindat.org. 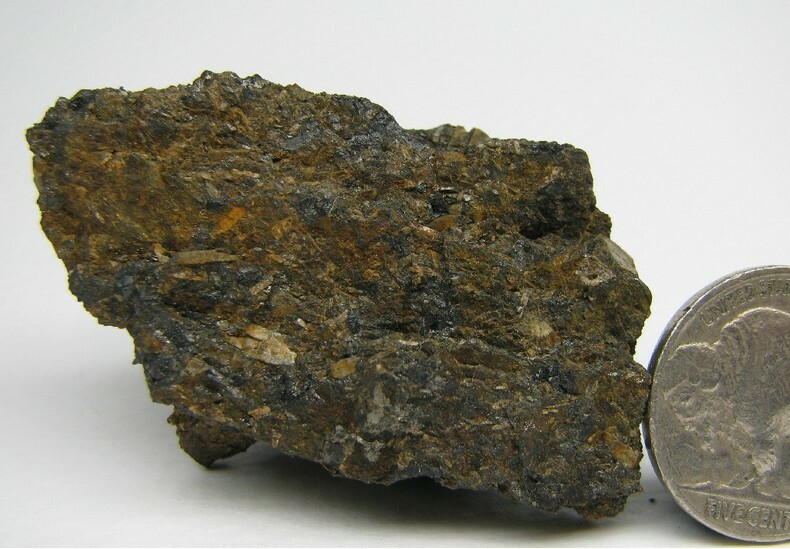 Magnetite 1 photo of Tritomite-(Y) associated with Magnetite on mindat.org. Cyrtolite 1 photo of Tritomite-(Y) associated with Cyrtolite on mindat.org. 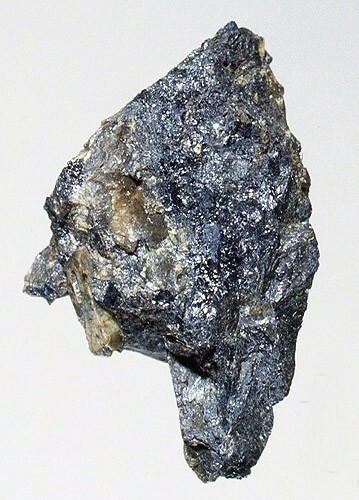 Frondel, C. (1961) Two yttrium minerals: spencite and rowlandite. Canadian Mineralogist: 6: 576-581. Abstracted in American Mineralogist (1961): 46: 1204. Jaffe, H.W., Molinsky, V.J. (1962) Spencite, the yttrium analogue of tritomite from Sussex Co., New Jersey. American Mineralogist: 47: 9-25. Joensuu, O.I., Ingamells, C.O. (1966) Additional data on the composition of spencite. Canadian Mineralogist: 8: 647-649. Nickel, E.H., Mandarino, J.A. (1987) Procedures involving the IMA Commission on New Minerals and Mineral Names, and guidelines on mineral nomenclature. Canadian Mineralogist: 25: 353-377. Pasero, M., Kampf, A.R., Ferraris, C., Pekov, I.V., Rakovan, J., White, T.J. (2010) Nomenclature of the apatite supergroup minerals. European Journal of Mineralogy: 22: 163-179. FRONDEL, C. (1961): Two yttrium minerals: spencite and rowlandite. Canadian Mineralogist 6, 576-581. JAFFE, H.W. & MOLINSKY, V.J. (1962): Spencite, the yttrium analogue of tritomite from Sussex Co., New Jersey. American Mineralogist 47, 9-25. JOENSUU, O.I. & INGAMELLS, C.O. (1966): Additional data on the composition of spencite. Canadian Mineralogist 8, 647-649. Huraiová M., Konečný P., 2006: U-Pb-Th datovanie a chemické zloženie monazitu v xenolitoch syenitu a pincinitu z vrchno miocénneho maaru pri obci Pinciná (Lučenecká kotlina). Min.Slovaca, Bratislava, 38, 141-150.